The Square-stemmed monkeyflower seems to have very variable flowers. In fact, the flowers change shape according to their maturities and the inside of the flower can be white or yellow, sometimes even orange. 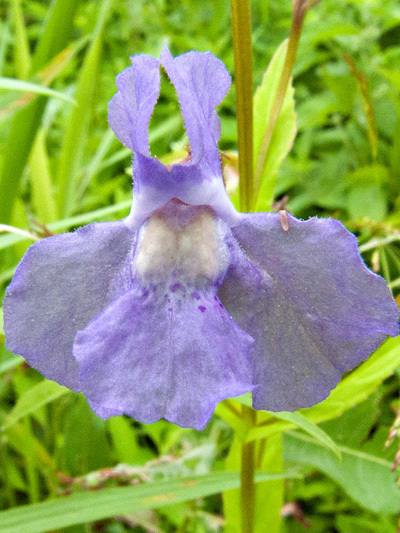 The flower itself is blue or purple, sometimes pale blue and even white. But the most remarkable of these shape changes is that the stigma (part located at the tip of the pistil, the female part) is very sensitive and the corolla closes when touched even slightly. This behavior would favor cross-fertilization (by another individual).